Of the 7 deadly sins, gluttony is probably one of the best! 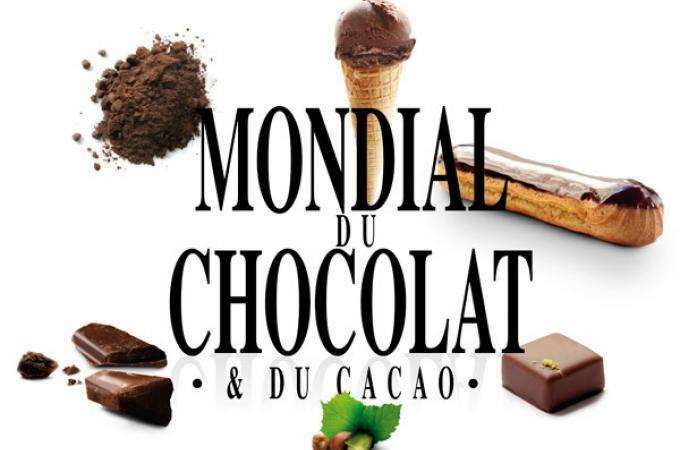 If you have any doubt of this, go along to the “Salon du Chocolat” from October 28th to November1st. Now in its 21st year, the event takes place at the Porte de Versailles. Walking to this den of temptation from Hotel Vice Versa is sure to help you work up an appetite, while the trip back will aid your digestion. It’s hard not to succumb when 300 participants come from all over the globe armed with cocoa, ganache and vanilla pods to create delights such as Florentines and eclairs. Don’t forget the presence of no less than 200 leading chocolatiers, pastry chefs and confectioners who are ready to unveil the secrets to getting the temperature of the bain-Marie just right for perfectly smooth fondant. Why be stubborn, the bewitching scent of hundreds of thousands of chocolates filled with cognac ganache, bitter orange or coffee is too great to resist? They simply melt on the tongue after the tiniest bite releases the hidden centre from the fine, still crunchy layer of chocolate that covers it. Why make things difficult when the marriage of bitter chocolate and delicate cream truffle is so divine? You can be somewhat forgiven as you bask in the contemplative happiness that only chocolate brings. Indeed, Salon du Chocolat isn’t only about immediate pleasure and satisfaction of the palette. Keep an eye open for exciting features and events such as the Chocolate Fashion Show, a parade of beautiful couture dresses made entirely from chocolate – lace, loosely draped, with ruffles or strapless, high art indeed. Meanwhile the Chocolate Bookstore offers a wide selection of books to tempt you, and allows you to delve into the history and tradition of chocolate or explore exciting recipes and tales of chocolate. You don’t need much of a push this October, when perhaps only a trip to Australia will save you from the sin of gluttony. Your room at Hotel Vice Versa is decorated in an exclusive 7 deadly sins theme, and can only encourage you to succumb!